Turkey's Göbekli Tepe: is this the world’s first architecture? The largest circle is 17m by 25m but geotechnical surveys suggest there are bigger structures waiting to be unearthed. The earliest limestone monoliths were quarried locally but stones were later transported long distances. The communal effort involved in this endeavour must have involved hundreds of people at a period when most social groups had no more than 25 members. 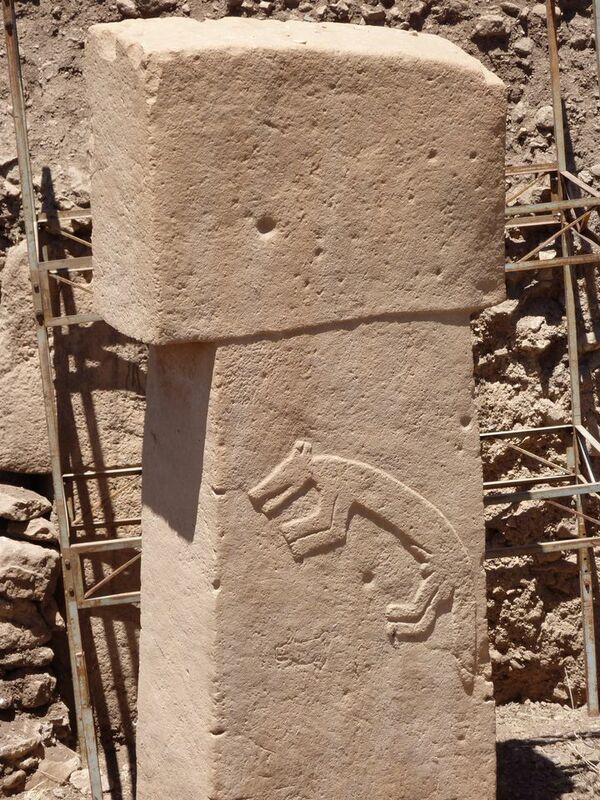 Göbekli Tepe was built by hunter-gatherers, apparently before the Agricultural Revolution when fully permanent settlements came into being with plant cultivation and animal herding. Rather than architecture being the product of organised societies, as has long been thought, there is new thinking that, in fact, it may have been the organisation needed to build on such a scale that helped usher in agriculture and settled society. Archaeological definitions of architecture tend to be broader than those of design professionals; it includes structures that create artificial space with, say, mud bricks, smoothed floors and right-angles. Architects tend to separate building—a simple vernacular shelter assembled out of utility—from architecture, in which conscious design that goes beyond the utilitarian comes into play. Moritz Kinzel, an archaeologist and architect based at Copenhagen University who is working on the site, says: “Building becomes architecture not just because it is monumental but because of technical solutions and perceptions of space—it has a mindset.” Göbekli Tepe also goes beyond the human scale. He reminds us, however, that the domestic and the ritual cannot be separated to the degree they are today, and that older houses with ritual components have been discovered at sites in Jordan and the southern Levant. 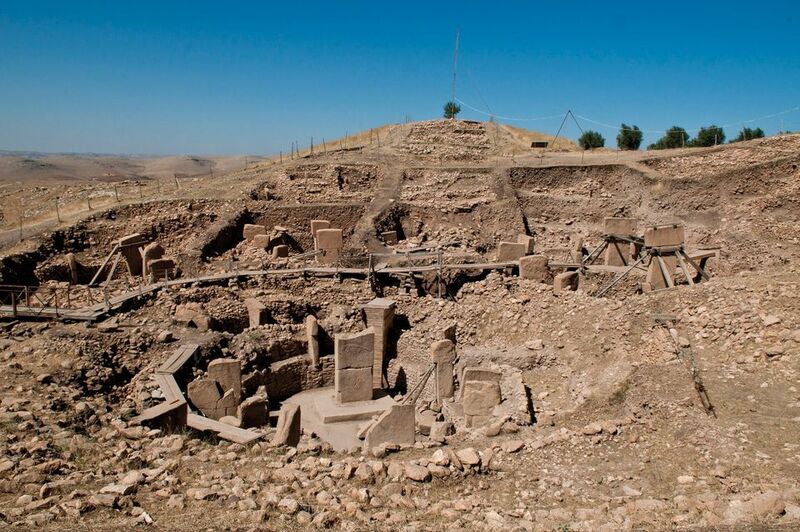 Kinzel argues that the design experimentation found at Göbekli Tepe should encourage us to avoid chicken-and-egg arguments about the primacy of architecture or agriculture. Instead, the site illustrates a cusp period, with architecture emerging alongside more complex organisations that produced surpluses and gradually shifted from gathering wild crops to farming. Some of the earliest domesticated wheat was found in the area and the Göbekli Tepe stones feature depictions of dogs—the first animal to be domesticated by humans. It was a trial and error period, an age of architectural and societal experiment at the beginnings of the Agricultural Revolution rather than one preceding the other. Current thinking is that Göbekli Tepe may not have been solely a cult centre but had other social and economic functions such as feasting, exchanging goods and finding partners and other activities that promoted a common social identity. The architecture may mark the beginnings of class society and patriarchy.